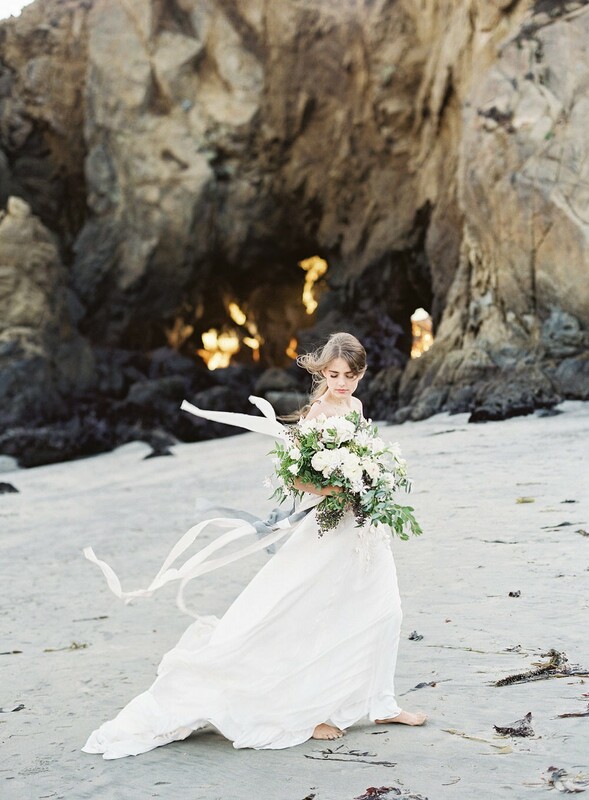 Wild and free are the two words we'd use to describe this stunning ocean bride. 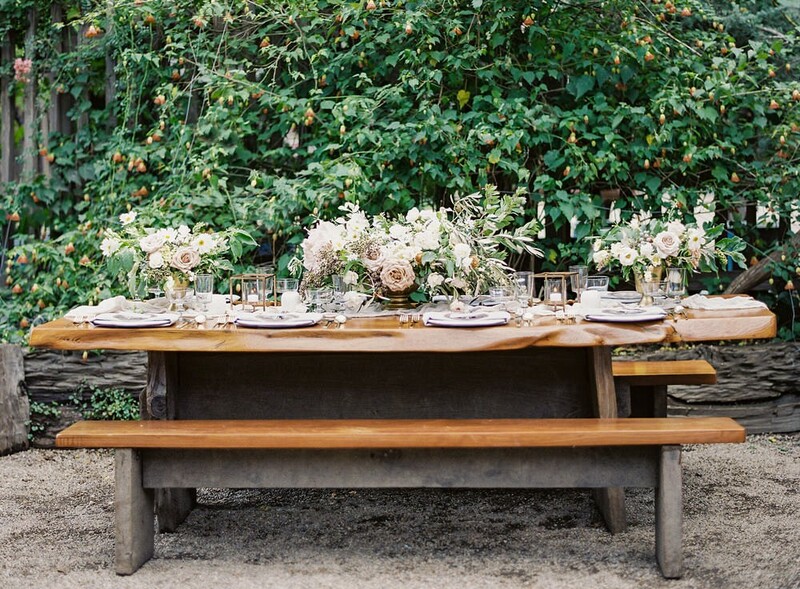 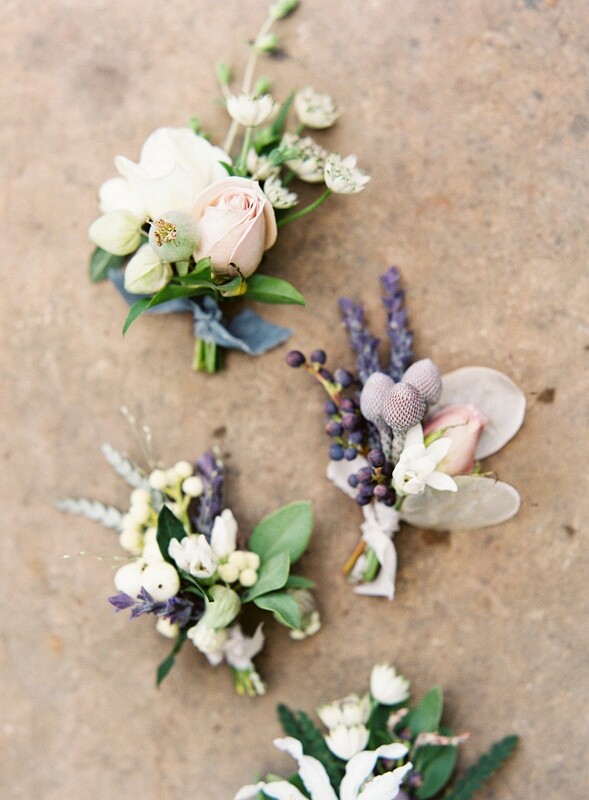 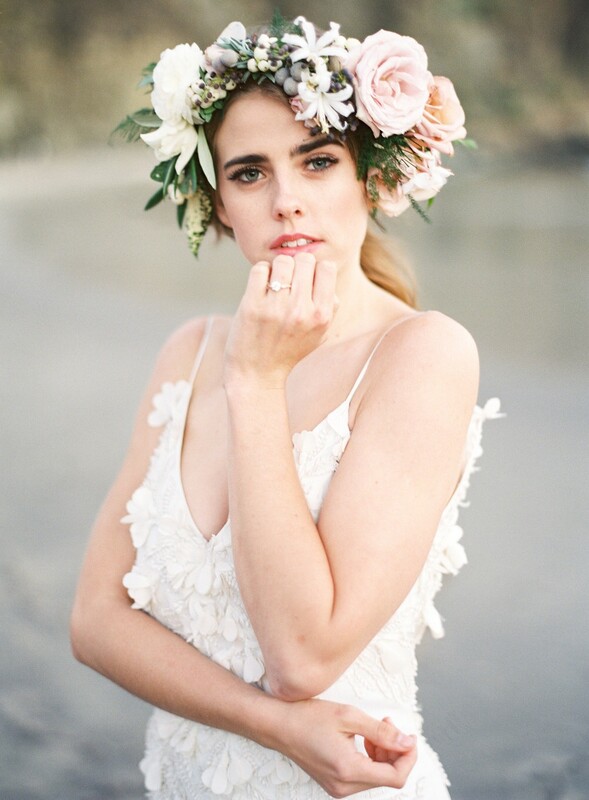 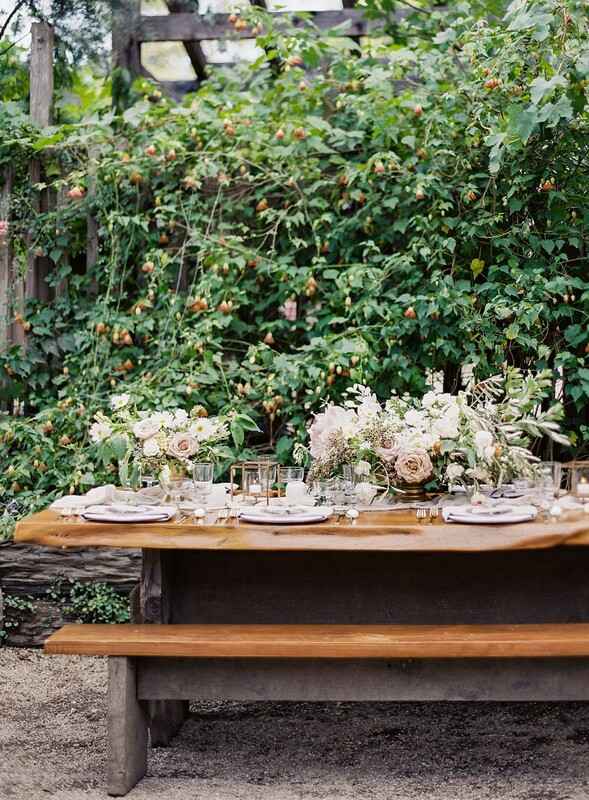 Today film photographer Kayla Barker shares with us this beautiful California editorial with foraged blooms by Michelle Lywood and an overall organic and nature-centric design by stylist Spreading Lovely. 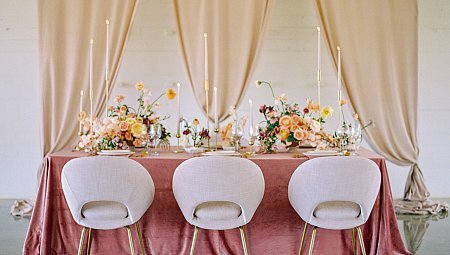 2019 Spring and Summer brides, you'll particularly love the warm-weather details like the large floral crown and the fresh herbs as part of the plate setting. 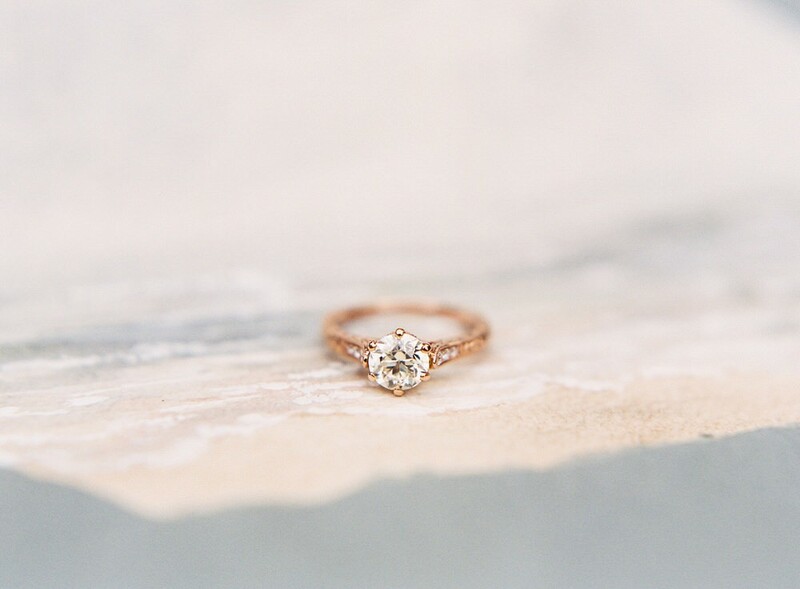 SO beautiful! 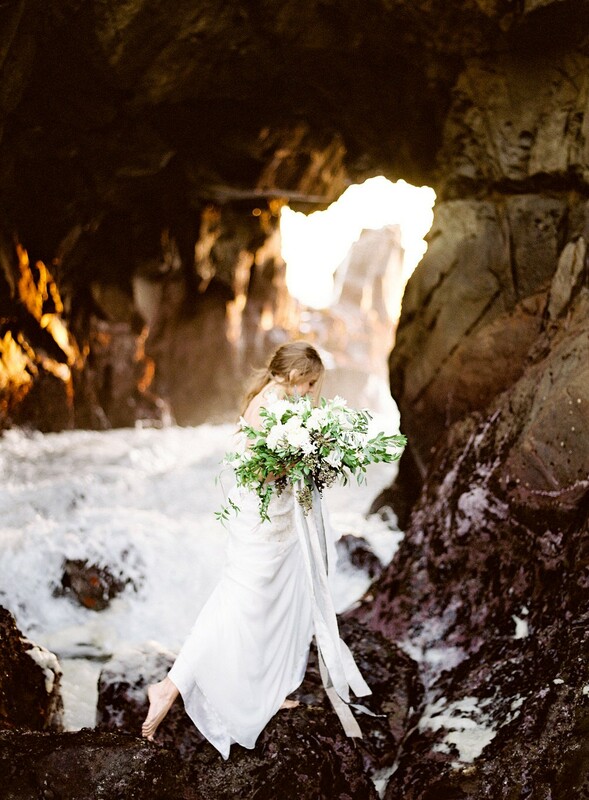 From photographer Kayla Barker: "Visitors come from all over the world to witness the iconic magic the California coast has to offer, and we wanted to capture this refined coastal spirit in our styled shoot. 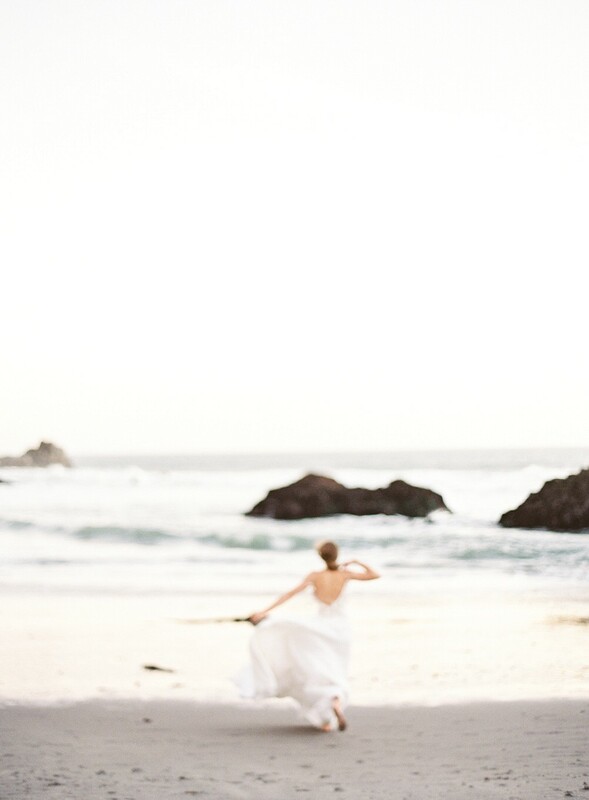 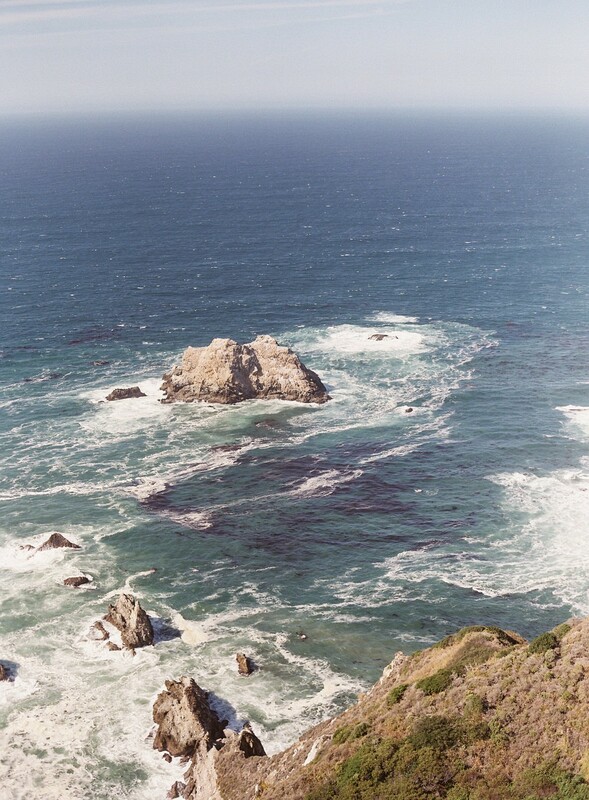 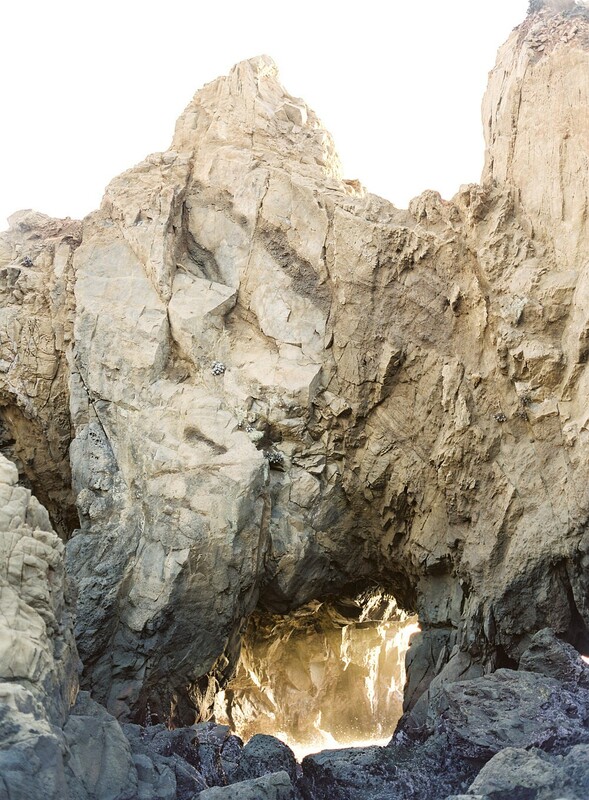 Big Sur has an amazing color palette to work from, we simply added textural layers to compliment the natural coastal tones of blues and greys, keeping the feel of the shoot organic and simplistic. 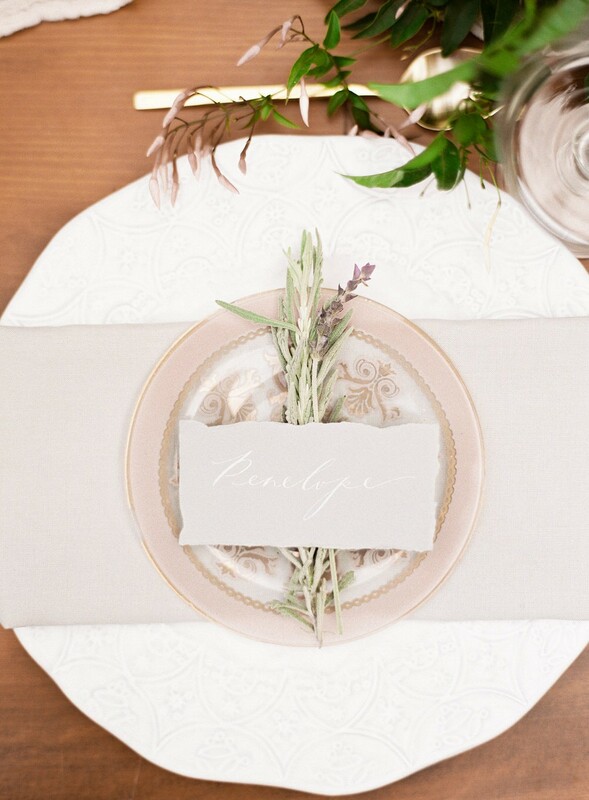 Our tabletop was styled with lush floral arrangements and mauve accents to add visual interest in the florals and the appetizer plates, while copper and gold elements added sophistication. 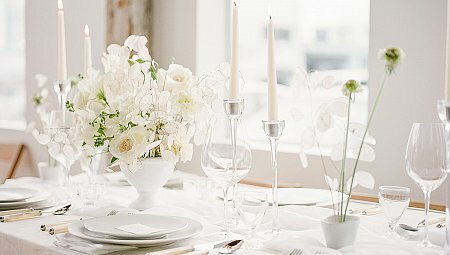 We selected the glassware as it reflected a beautiful blue tone, reminiscent of a cool ocean breeze. 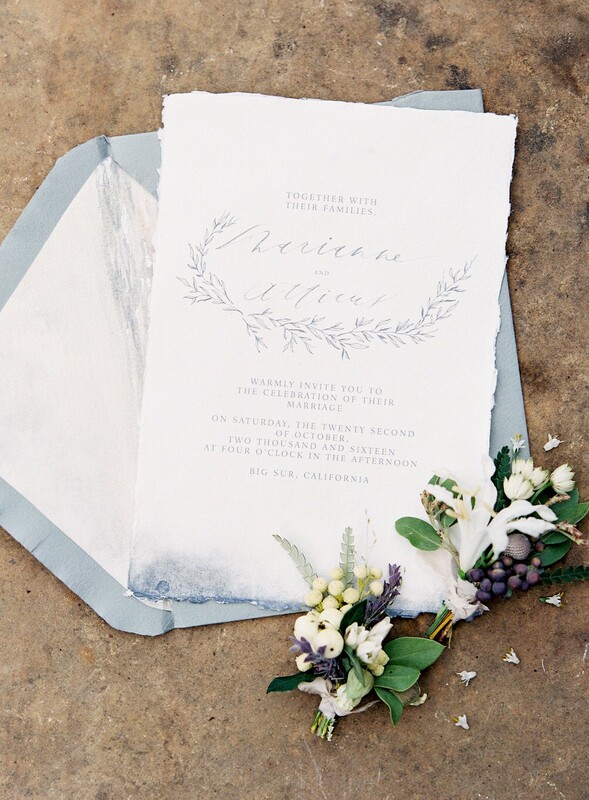 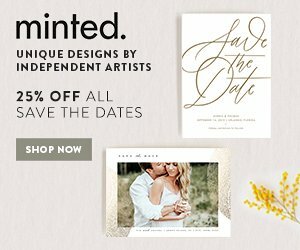 The stationery design evokes an elegant beachy aesthetic while the copper wax seal helps to elevate the design along with the romantic calligraphy. 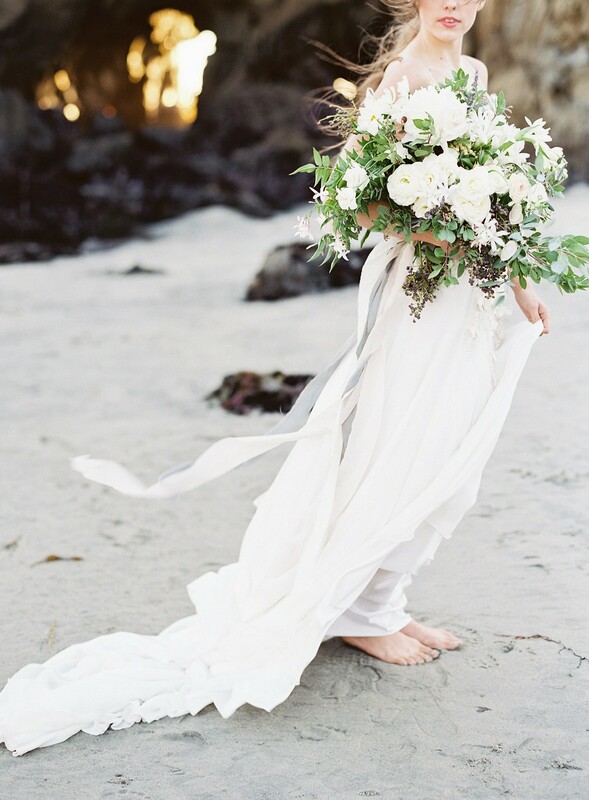 Oversized bouquets channel the California free spirit while the bride’s Bo & Luca dress added a perfect dash of whimsy with the detailed bodice and striking low back to keep the design from feeling too serious and added some magic. 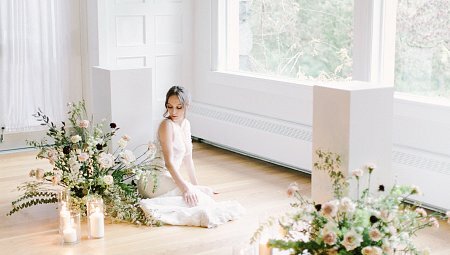 We love the elegance of a low side pony tail for brides - it feels refined, while still allowing for movement in the ocean breeze."